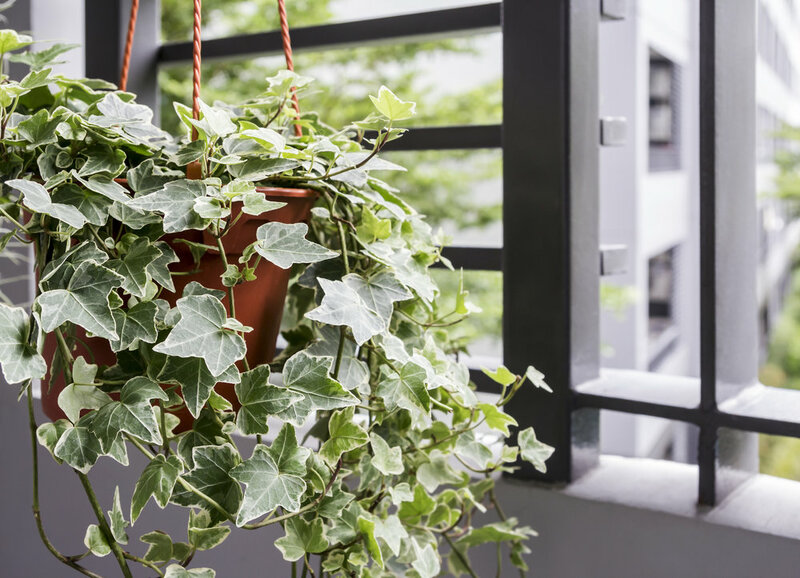 Beautiful as a ground cover or a houseplant, English ivy is a classically elegant choice that is also excellent for removing harmful chemicals found in the home. It can grow in full shade to full sun, can be trained into shapes, and with proper care, it is likely to survive for several years. Since the bamboo palm, or reed palm, prefers part sun or shade, it makes a great houseplant with the added benefit of aiding in the removal of harmful elements such as benzene and formaldehyde. The Chinese evergreen is an easy-care plant that thrives in low to medium light. It generally grows to one or two feet. Though it helps to maintain healthy air quality in the home, it is important to note that the Chinese evergreen contains an irritant that can be toxic to pets. When placed indoors, this popular annual is useful in removing benzene and providing mood-enhancing beauty to the home. 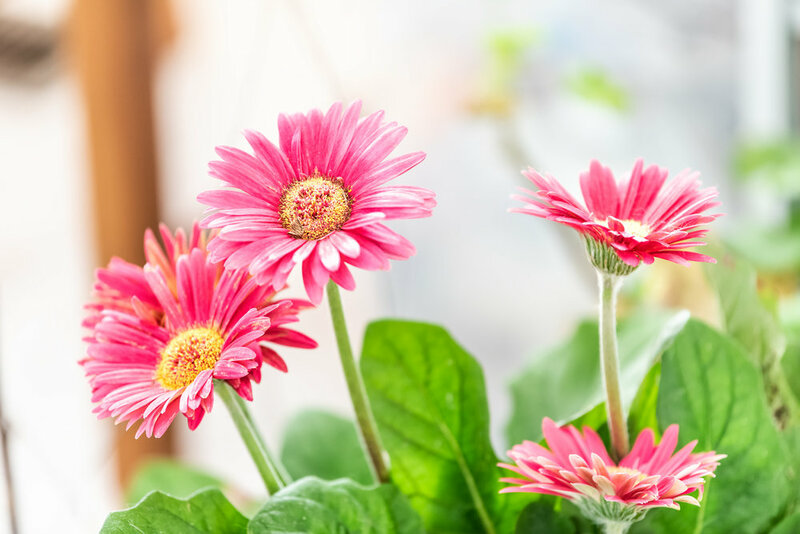 However, keep in mind that the gerbera daisy does best in warm temperatures, at 75 degrees F or higher. With a leaf color that ranges from green to purple, this plant would be a gorgeous addition indoors or outdoors. It would also fit right in at the office, as it can tolerate low light. A hardy succulent, mother-in-law's tongue is a great houseplant for beginners and can survive in some of the toughest conditions, including a wide variety of temperatures and light conditions. However, be careful not to over water (or to not water at all). Good for removing benzene, the pot mum is also a colorful addition to the home in fall when many other flowering plants are past their prime. Known for its ability to fight against toxic gases such as formaldehyde and carbon monoxide, peace lilies are relatively easy to care for and even show signs of drooping when they need to be watered. They can be mildly toxic to pets and humans, so it's important to wash your hands after touching the plant. This easy to care for houseplant thrives in bright, indirect light and works hard to remove the air of harmful pollutants like formaldehyde and benzene. Proven to help remove formaldehyde, the mass cane/corn plant is one of the most popular varieties of Dracaenas for its lovely foliage that ranges from green to yellow. They look stunning in tree form but can also be grown as shrubs.